Participate by donating to this worthy cause. Sign up as a member of the St. Shenouda Society. Information for the upcoming conference. The 20th annual St. Shenouda – UCLA Conference of Coptic Studies will be held from July 19-20, 2019. 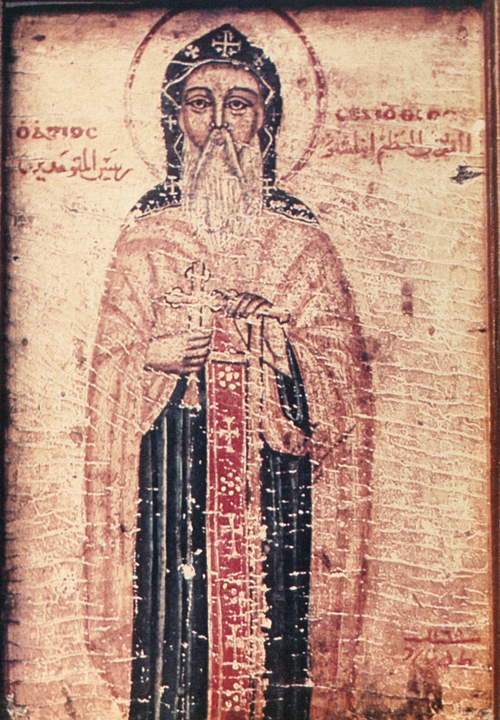 The St. Shenouda the Archimandrite Coptic Society is 501c(3) US nonprofit organization dedicated to the Preservation, Revival, and Promotion of the heritage of Christian Egypt for the benefit of current and future generations of Coptic in the Diaspora. The Society was conceived in Los Angeles in December 1979, in Los Angeles to serve the Coptic community outside Egypt in strengthening its roots by the systematic revival of its Christian Heritage. In 1983, the Society was fully organized and approved under the laws of the State of California and the United States as a nonprofit foundation. Its current membership is over 200 members divided among the different classes of membership available and spread over 6 Continents. The Coptic Language is the name used to refer to the last stage of the written Egyptian language. Coptic should more correctly be used to refer to the script rather than the language itself. Even though this script was introduced as far back as the 3rd century B.C., it is usually applied to the writing of the Egyptian language from the first century A.D. to the present day.